Locavore Studio sure have hit Main Street with a BANG! Since moving in to the new digs from just around the corner, the team at the studio have let EVERYONE know they are here and you simply can not miss the giant mural running along side the cafe. Inside is just as breathtaking. Sleek design choices and touches of gold everywhere adds to the charm. There is an equally dazzling display of pastries and baked goods filling the glass cabinetry as well as bread lining the shelves. Stop in just for a cake and coffee. Or choose from the light cafe menu OR from the impressive range of salad specials. We choose to take the pram outside while Mamma downs a smashed avo and the kiddlets get some extra room to move and have a sniff at the kitchen garden. But never fear, they will be back at the table in time for cake! 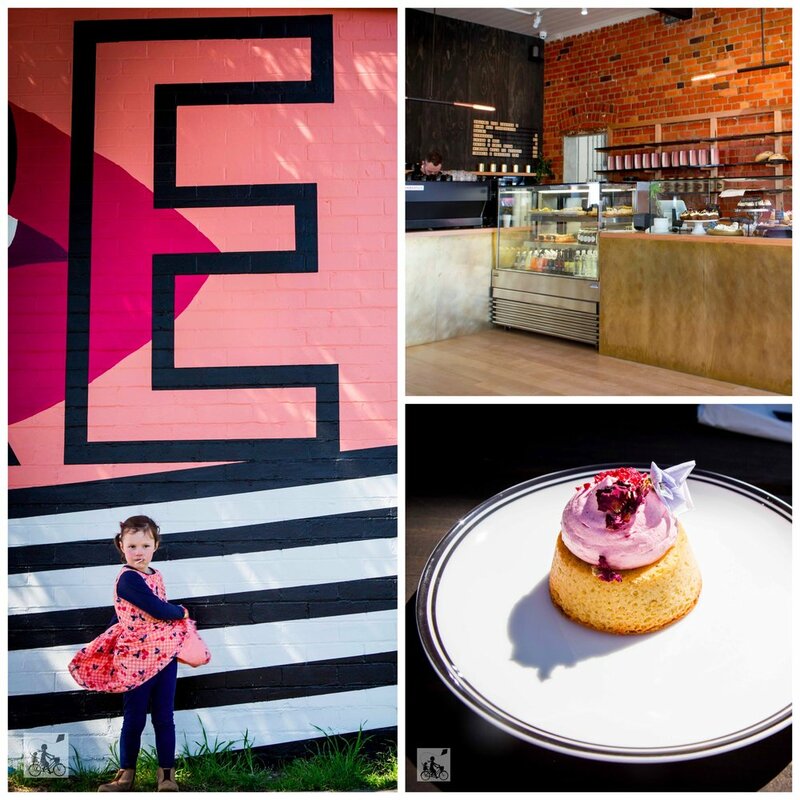 Mamma's special mention: Locavore Studio is more than just a cafe and bakery as they have been catering for the best in the Yarra Valley. They sure know how to put on a spread and their wedding events look incredible. Check out the Instagram feed for more info!